Eye catching spinners that look fabulous on just about anything. 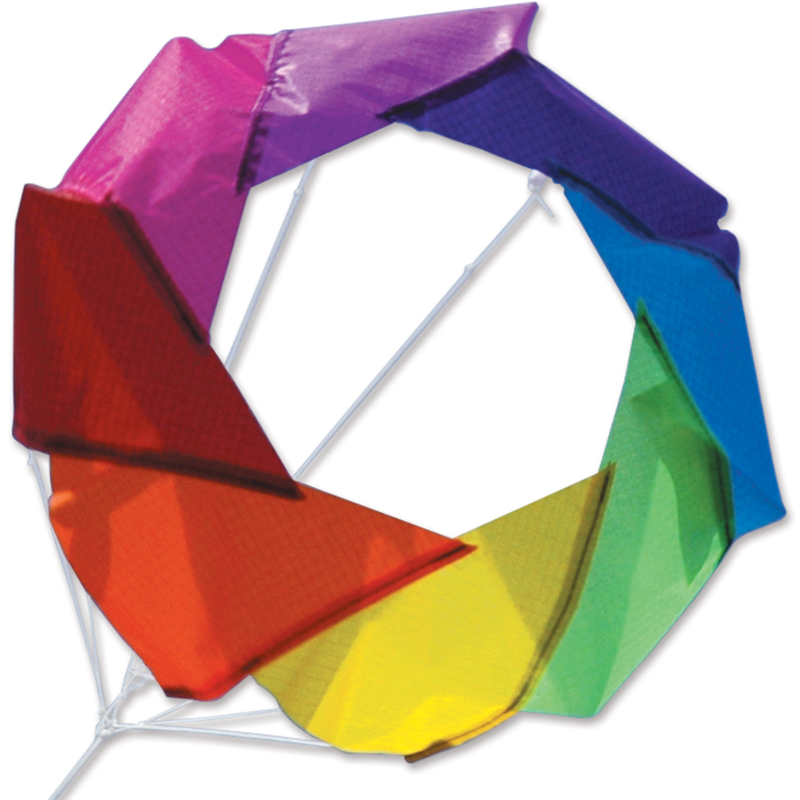 Use them for increased stability for an erratic kite or just put one or more on the line for a great show. You can also add one to a windsock pole for instant pizzazz in the wind.